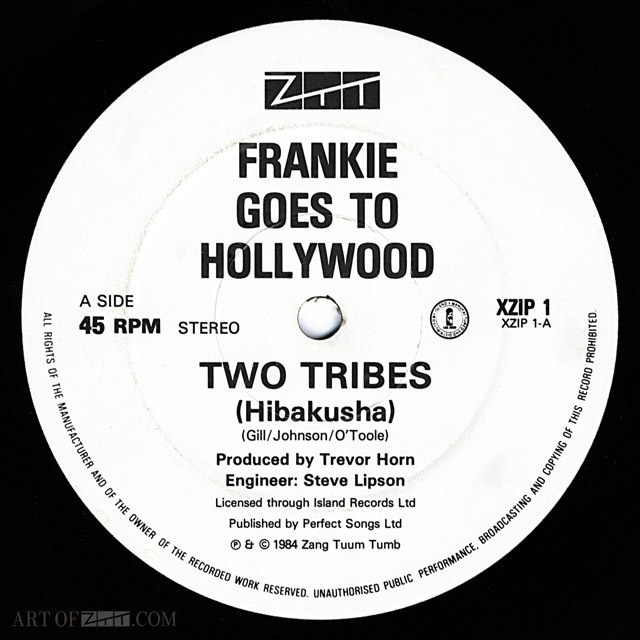 artist: Frankie Goes To Hollywood title: Two Tribes (Hibakusha) format: 12″ single design: XLZTT photography: n/a illustration: n/a cat. 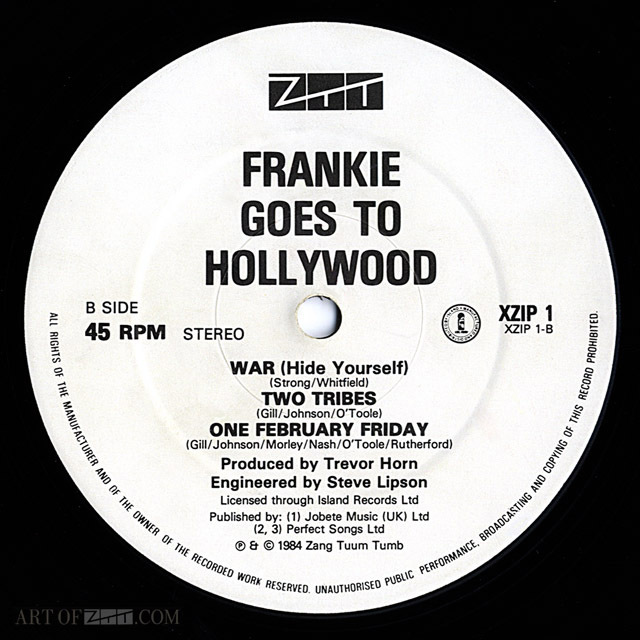 no: XZIP 1 date: 06/08/84 art of notes: This was the last mix to be released and was more limited than the previous ones, it also came in a ZTT house bag with basic labels rather than a bespoke sleeve. And infuriatingly difficult to get hold of. 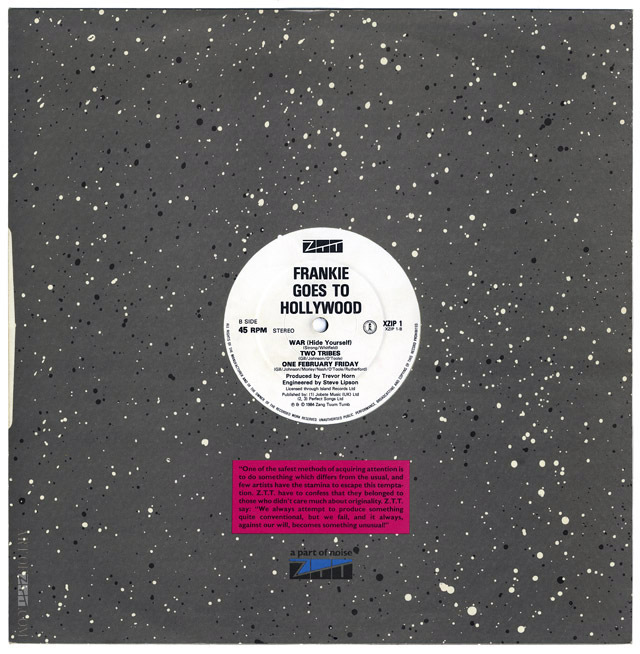 Even in 1987, when I finally came across a copy in a 2nd hand record store, it was prohibitively priced at £20. Good thing too: when the mix itself was eventually re-released on the 1994 CD single, it turned out just to be the soundtrack to the video. There are some good beats in places, but it suffered from flat, bleary mixing – intended for TV rather that hi-fi (though the “Hibakush-ah!” archival mix that surfaced a few years back improves on that.